The incredible acceleration, cornering and braking abilities of this race modified V8 Holden Commodore will blow you away. 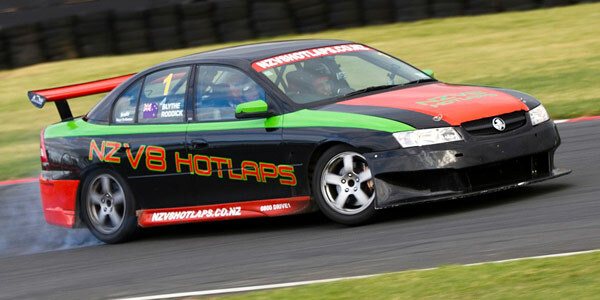 Get a real insight into what it’s like to race a thumping V8 around the iconic Pukekohe circuit. 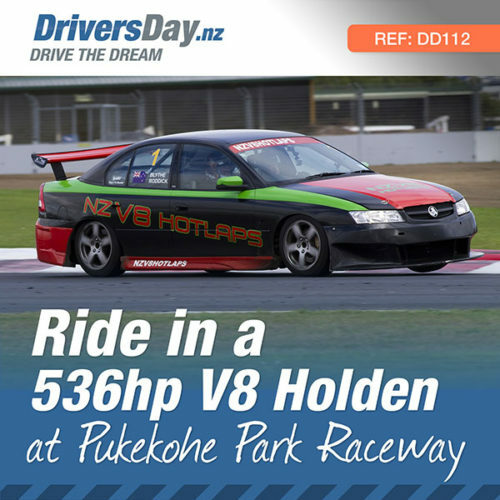 LOCATION: Pukekohe Park Raceway, 40 minutes from Auckland City. 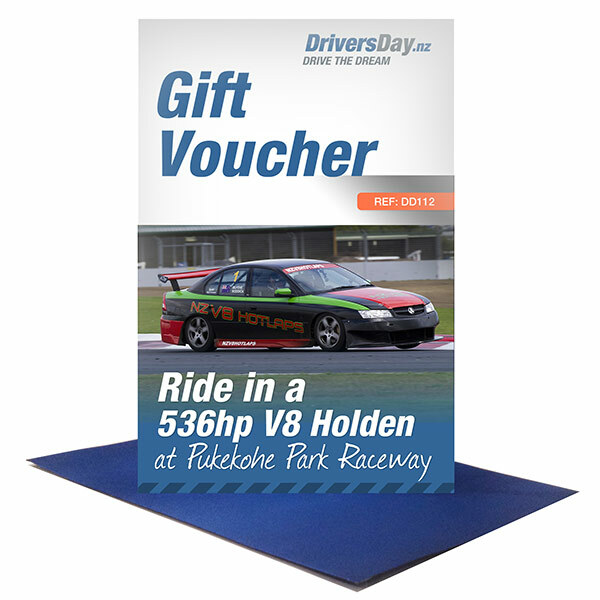 Once your V8 Hot Laps are finished you get a Completion Certificate and will have a chance to talk further about your drive with a professional driver. This experience provider has been running driving experiences for over 10 years, driver training for over 15 years, and is one of the most respected driving experience providers in the country. These V8 Holden Race cars are modified thumping V8s producing 500 horsepower. Stripped out race interiors with full roll cage, bucket racing seats and 4 point harnesses give the complete race car experience, and a full body aero kit and massive race brakes help it stick to the track like it’s on rails. 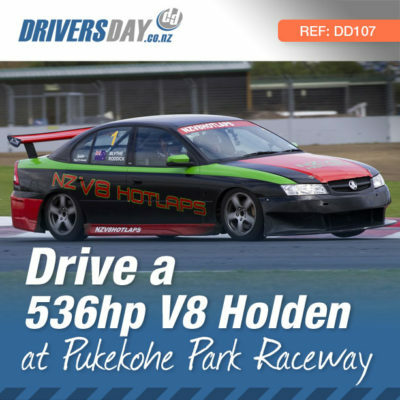 Pukekohe Park Raceway is a fast and well liked track amongst racing enthusiasts and continues to play a vital part in New Zealand Motorsport. It was opened in 1963 as a permanent track, replacing Ardmore (an aerodrome) as the host circuit of the New Zealand Grand Prix. 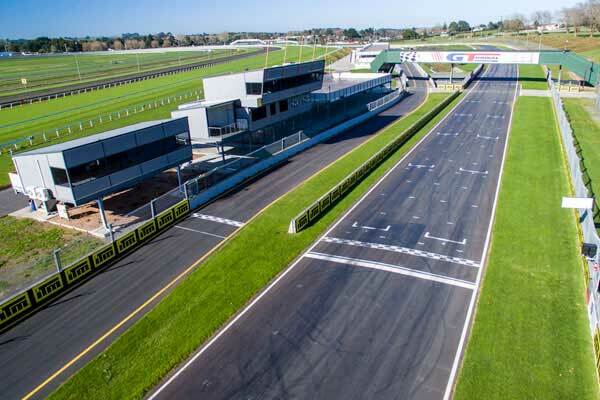 More recently, with it’s updated layout, it’s again become home of the V8 Supercars. All participants must be over the age of 15, physically capable of getting in and out the vehicle unassisted and not be impeded by drugs or alcohol. Allow at least an hour. Normal Clothes. Please wear enclosed shoes. (No jandals, sandals or high heels) Privately owned helmets or suits are permitted. NO privately handheld devices will be permitted in the car.